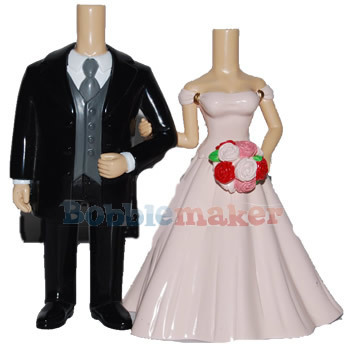 This custom bobblehead features a a classic looking bride and groom with a little bit of whimsical. This custom couple bobblehead can be tastefully made to look in the image of the bride and groom and placed atop your wedding cake! Your wedding guests will remember this interesting touch and you can cherrish it for a lifetime.